On arrival, a veterinary nurse will greet you and your pet. They will get a brief history from you, obtain your pet’s vital signs and report this information to our emergency doctor. While we make every effort to see patients in the order they arrive, patients are seen by our doctors based on severity of condition, not always on a first-come, first-served basis. All patients have round-the-clock care. We always have doctors and veterinary nurses on premises to monitor and care for your pet. No pet is ever unattended. While referrals are recommended to see on one of our specialists, they are not required. It is always better to speak to your veterinarian about a referral so we can collaborate to ensure the best care for your pet. We do not require a referral for emergency care. Of course. We work closely with your primary veterinarian and make sure they receive copies of our medical records. We also communicate by phone and they can access a portal into our medical record system. We always allow owners to visit with their pets. Please call and speak with your doctor or nurse so we can coordinate a time that is best for your pet and you. We try to limit visits to twice a day for 15 minutes so as to not interfere with your pet’s treatment. We usually discourage visiting on a day when your pet underwent general anesthesia because this can be disruptive to its recovery. It is best to call after 10 am for an update. The doctors are in rounds from 8 to 9 am every morning. After rounds, every patient is examined by their doctor. If the situation warrants, we will call you before then. Can I bring special items from home (blankets, tee shirts, toys) to keep with my pet during its hospital stay? Yes, you are welcome to bring things from home to make your pet feel more comfortable. Please note, however, we cannot guarantee the return of these items as they may get soiled, lost or damaged. Should I bring my pet’s prescription medications and/or prescription food when my pet is admitted to the hospital? Yes, please bring all prescription medications/foods you are currently giving your pet. You and your doctor will determine if these should be continued during your pet’s stay. We have a full range of diets to feed our hospitalized patients. However, if your pet is on a prescription or special diet we will gladly continue if you provide it for us. Can I bring my pet to CVRC for routine care (wellness, spay/neuter, declaw, flea/tick/heartworm medications) or vaccines? We do not offer primary care. Please see your primary veterinarian for these services. We are exclusively an emergency and specialty care hospital. If you do not have a primary veterinarian in the area, please call us and we can suggest veterinarians that are nearby you. Please email us at records@charlestonvrc.com with your request. If the request is urgent, please contact us via phone. Records can be sent via email, fax, or regular mail, while images can often be sent via email, web link for download, or physically on a CD. We will try to give a rough cost estimate for the treatment plan for a specific patient or procedure prior to meeting you and your pet. Please be aware that this will be a rough approximation of the cost and the actual cost can vary significantly once your pet is examined and assessed. Please contact us at (843) 614-8387 to inquire, email us at info@charlestonvrc.com (for non-pressing questions), or use the contact us link. We predominantly treat dogs and cats, occasionally others. Please follow this link for a list of hotels near CVRC. Do you offer any military or public servant discounts? We offer discounts to all members of the US military (active or retired), police and firefighters. When do I need to pay for my pet's medical care? After an initial examination by one of our doctors, they will discuss the recommended Medical Plan with you and all associated costs. Once the medical plan is agreed to, we require a 50% deposit of the estimated costs of diagnostics and treatments. At the time of discharge the remaining balance will be due. We do not have the ability to bill you for services. Do you offer any type of delayed billing or payment plans? We offer “Care Credit” which is a credit card to be used at veterinary or dental offices. It is a rapid application process which can be done at home or our client care team can do it with you in the office. We offer 6 month interest free and some other options. More information can be found on the Care Credit website. To apply with Care Credit online, click here. How much does it cost for a consultation with one of your board certified specialists? Our specialist consultation fee is $105. After an assessment by our specialist, you will be provided with a detailed medical treatment plan, including all costs recommended and anticipated. You and the specialist will review this and determine the best course of action for you and your pet. **Consultations with our dentist cost $155. A specialty hospital does not offer any routine or preventative care. Our veterinarians have advanced training in specific disciplines such as surgery, oncology, internal medicine, emergency and critical care medicine, physical rehabilitation and neurology among others. We also have equipment that most primary veterinarians don’t have such as CT scans, MRI, endoscopic equipment, and specialized surgical tools. We work closely with your primary veterinarian to offer these services to you. If you are a new client to CVRC, we encourage you to fill out our New Patient Registration Form ahead of time online, or bring the form with you. Otherwise, please arrive to your appointment approximately 10 minutes early to complete this form in our office. If you are transferring for continued care from your primary veterinarian, please come to CVRC at your earliest convenience. 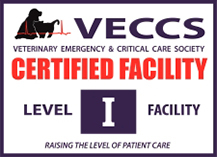 Critical care consultation usually begins with your family veterinarian diagnosing a disease or condition that requires advanced expertise, diagnostics, therapeutics and patient monitoring. A full history, medical record review, and complete physical examination are performed. After examination and discussion, an initial treatment plan will be presented for the diagnostic workup and/or treatment. Our criticalist will communicate with you during the work-up or treatment process to keep you informed on your pet's progress. We will also communicate with your primary veterinarian during this process to ensure a collaborative treatment plan for the care of your pet. Upon discharge, you will be given a printed visit summary with the diagnosis, treatment recommendations, and follow up care. A full report will be sent to your family veterinarian the same day. We welcome your progress reports, questions and concerns any time and will maintain an ongoing relationship with your primary care doctor to ensure the best experience for you and the best care for your pet. First and most importantly, bring your pet to all visits. You may be instructed to withhold food and water from midnight the night before your appointment to allow for certain diagnostic testing. If your pet is on any medications, please let us know and we will advise you whether or not to administer them on the morning of your appointment. Also, please bring a list of all medications, strengths and dosages, or the pill vials. Records, including recent laboratory work, can be faxed or emailed to us from your primary care veterinarian prior to the appointment. If your pet has had any x-rays taken recently, please bring those with you as well. We can request records and digital x-rays on your behalf from your family veterinarian once you have scheduled a visit with us. Depending on the nature of your pet's disease or condition, the diagnostics or treatments performed, and their timing, you pet may or may not need to stay overnight. For general medical workups, overnight hospitalization is generally not necessary. Our doctor or veterinary nurse will discuss the expected hospital stay during admission to the hospital. We always allow owners to visit with their pets. Please call and speak with your doctor or nurse so we can coordinate a time that is best for your pet and you. We try to limit visits to twice a day for 15 minutes as to not interfere with your pet's treatment. It is generally discouraged to visit on a day when your pet underwent general anesthesia as sometimes this can be disruptive to their recovery. In an emergency situation, the priority is for you and your pet to get to CVRC. Once it is determined that your pet is going to be hospitalized, you may bring all prescription medications you are currently giving your pet. We carry most common medications if this is not feasible. Our doctor will determine if these should be continued during your pet's stay. While referrals are recommended to see on one of our specialists, they are not required. It is always better to speak to your veterinarian about a referral so we can collaborate with your veterinarian to ensure the best care for your pet. We work closely with your primary veterinarian and ensure they receive copies of all medical records.We also communicate via phone and they have the ability to access a portal into our medical record system. Ultrasound is a diagnostic tool used to obtain more detailed information about internal body structures. Ultrasound machines use sound waves administered by a small handheld device called a probe, waves are reflected back to the probe, and a computer formats these into visual pictures on a monitor for the clinician to review. Ultrasound is painless and noninvasive. Ultrasound is a modality that requires significant training and experience by the clinician to achieve an accurate diagnosis and interpretation of the study. After being thoroughly examined by one of our doctors, your pet is positioned appropriately on the ultrasound examination table. For most patients, sedation or anesthesia is not required. The area of interest is clipped to allow the probe to make contact with the skin. The study is performed and interpreted by one of our trained clinicians. The procedure takes approximately 30 minutes to perform. Ultrasound is painless and noninvasive. Will my pet need to be sedated or anesthetized for an ultrasound? Ultrasound is painless and noninvasive. For most patients, sedation or anesthesia is not required. Certain advanced procedures (biopsy or aspirate) may require sedation or anesthesia for patient comfort and compliance. Endoscopy is a minimally invasive technique that uses flexible and rigid scopes to visualize internal structures of a patient, including the upper and lower gastrointestinal tract, nasal passages, respiratory tract, and urinary tract. After a full physical examination, the patient is sedated or anesthetized. A specialized scope is passed into the area of interest (gastrointestinal, urinary, or respiratory tract), and a camera hooked up to the scope displays live images of these structures. Using special instruments, biopsy samples can be obtained, as well as foreign material removed. Endoscopy is used to visualize the gastrointestinal, respiratory and urinary tract, and to obtain diagnostic tissue samples to diagnose conditions affecting these body systems. Polyps can be removed. Endoscopy can also be used to extract upper gastrointestinal foreign material, and to assist in placement of feeding tubes. Will my pet need to be sedated or anesthetized for an endoscopy? Anesthesia or sedation is required to allow for the passage of an endoscope into the area of interest. We use the most up to date and safest anesthetic agents, preanesthetic laboratory screening, tailored anesthetic protocols, and state of the art monitoring equipment to ensure safety for your pet before, during, and after anesthesia. Echocardiography is a type of ultrasound that uses special probes and software, as well as requiring advanced training, to perform real time imaging of the heart and surrounding structures. At CVRC, echocardiograms are performed by our board certified specialists, who have undergone extensive education and training in echocardiography to aid diagnosis and treatment of all cardiac-related diseases. After being thoroughly examined by one of our doctors, your pet is positioned appropriately on the echocardiography examination table. For most patients, sedation or anesthesia is not required. The area of interest is clipped to allow the probe to make contact with the skin. The study is performed and interpreted by one of our trained clinicians. The procedure takes approximately 30 minutes to perform. Echocardiography is painless and noninvasive. What is echocardiography used for? Will my pet need to be sedated or anesthetized for echocardiography? Echocardiography is painless and noninvasive. For most patients, sedation or anesthesia is not required. Certain advanced proceduresmay require sedation or anesthesia for patient comfort and compliance. CT scan is a non-invasive imaging modality that performs 360◦, cross-sectional imaging of our patients. CT scan uses x-ray technology to acquire these images, but does so with vastly increased detail and sensitivity, allowing us to visualize structures as small as 1-2mm in size. Our helical, 4-slice CT scanner is able to perform imaging studies much faster than older, conventional scanners that are often found in veterinary medicine. Using newer equipment and software, we are able to perform most studies in less than a minute (actual scanning time). This reduction in time also comes with increased quality and sensitivity: advantages that translate to shorter anesthetic times for our patients, even the ability to perform some studies under a light plane of sedation. After being thoroughly examined by one of our doctors, your pet is sedated or anesthetized and placed on the CT imaging table. The CT technician positions the patient and programs the CT computer for the desired type of study. The patient table then advances through the CT gantry (which is a large, donut shaped opening) while an x-ray tube and sensors rotate at high speed around the patient. Usually, the scan is performed twice, the second time with administration of an intravenous contrast agent that highlights blood vessels and other structures. These images are reconstructed on a computer console attached to the CT machine, then reviewed by our specialists. What is CT used for? Does my pet need to be sedated or anesthetized for a CT Scan? Anesthesia or sedation is required to perform a CT Scan. We use the most up to date and safest anesthetic agents, preanesthetic laboratory screening, tailored anesthetic protocols, and state of the art monitoring equipment to ensure safety for your pet before, during, and after anesthesia. Pets' sleep cycles in the hospital environment are altered so it is not uncommon for them to be tired when returning home. This may last for 24 hours. If your pet appears listless, unable to ambulate, or you are concerned please call us. Not necessarily. Dogs and cats have a higher body temperature than people so often feel warm. You can purchase a rectal digital thermometer (doesn’t need to be animal specific) and obtain your pet's rectal temperature. This is the most accurate assessment. Normal temperature for a dogs and cats is 99.5—102.5 degrees Fahrenheit. Physical examination: Physical exam is the cornerstone of every good workup. A full physical exam focused on the heart and lungs will be performed by the cardiologist at CVRC during your pet’s appointment. Physical exam abnormalities (heart murmur, arrhythmia, trouble breathing, e.g.) will help define which diagnostic tests are the most appropriate for your pet. Echocardiography (Echo): Echocardiography is an ultrasound of the heart which shows its structure and function. An echo is by far the best way to assess heart disease, because it shows things we cannot see on chest X-rays (better assessment of chamber size, contractility, valve shape, etc.) or hear during osculation (listening with stethoscope). An echo will be recommended in most patients on their first visit to CVRC as this is the best way to make a specific diagnosis, identify severity of disease, and formulate a monitoring and treatment plan. Echo's are non-invasive and not dangerous. An echo requires specialized ultrasound equipment and ideally should be performed by someone with advanced education and training, preferably a board certified cardiologist. At CVRC, we generally perform echo's without sedation and they are painless. Doppler echocardiography: Doppler echo is an advanced form of echocardiography in which the direction and speed of blood flow in the heart and great vessels can be visualized and documented. It is essential in quantifying the severity of some forms of heart disease, in assessing for high blood pressure within the lungs (pulmonary hypertension), and in assessing the risk of heart failure (fluid in the lungs) occurring. Doppler echo provides significantly more information about heart disease than standard echocardiography, and is part of every echo performed at CVRC. Chest X-Rays: Chest X-rays are taken to evaluate the heart and lungs. At CVRC, all X-rays are digital and of the highest quality. Interpretation by board certified radiologists is available when indicated. Chest X-rays might be recommended in a patient who is having trouble breathing or exhibiting a cough. Chest X-rays are necessary to make a diagnosis of heart failure (fluid in the lungs). 6-Lead Electrocardiogram (ECG or EKG): This is the test that shows electrical function of the heart. An ECG is necessary for any animal diagnosed with an arrhythmia, or irregular heart rate or rhythm. A 6-lead ECG provides more information than a single lead ECG, and all ECGs performed by the Cardiology service at CVRC are 6-lead. The ECG allows for a specific arrhythmia diagnosis which is necessary to gauge the risk of the arrhythmia and to formulate a treatment plan. Holter Monitor (ambulatory ECG monitoring): A Holter is an ambulatory ECG monitor that your pet would wear home in a little backpack. CVRC’s digital Holter units can record heart rate and rhythm for up to 48 hours (although 24 hours is standard) and results are usually back in a few days. Holters increase the ECG sampling period tremendously compared with an ECG performed during an appointment, so it will be recommended in animals in which the in-house 6-lead ECG does not provide enough information about the significance of an arrhythmia. Blood Pressure Monitoring: Blood pressure is affected by heart disease and high blood pressure can increase the work of the heart. For this reason, if your veterinarian hasn’t done so recently, blood pressure is often checked when your pet has an appointment with the Cardiology service at CVRC. The technique is non-invasive, nonpainful, and involves an inflatable cuff placed around a limb or tail and a special monitor. Bloodwork: Some heart medications require bloodwork monitoring to ensure they are working properly and not having systemic side effects. If your veterinarian hasn’t performed bloodwork recently, it may be recommended when you bring your pet to the Cardiology service at CVRC. Some bloodwork, such as checking electrolytes and kidney values, is performed in-house so results will be available during your pet’s appointment. Other bloodwork might be sent out to other laboratories, in which case we will contact you when results return. Fluid Taps: Heart disease can sometimes lead to the accumulation of fluid in the chest or abdominal cavity or the pericardium (sac surrounding the heart). This fluid accumulation can be life threatening and might sometimes require a removal, which can be performed at CVRC. This is a procedure in which a needle is inserted into the chest cavity, abdominal cavity, or pericardium and fluid is removed. Your pet might be lightly sedated for this procedure for his or her safety. Angiography: Angiography refers to delivering contrast or dye through an intravenous catheter into the bloodstream so that blood flow can be seen using fluoroscopy (real time continuous X-ray). Angiography is performed at CVRC in the Cath Lab to better identify heart and vessel size and shape in order to guide interventional procedures such as patent ductus arteriosus (PDA) closure and balloon dilation valvuloplasty for pulmonic stenosis (PS) and subaortic stenosis (SAS). Cath Lab and Interventional Procedures: Using extensive specialized equipment, training, and expertise, minimally invasive procedures to correct or address heart or blood vessel abnormalities can be performed. These procedures require the use of fluoroscopy and include pacemaker placement, patent ductus arteriosus (PDA) closure and balloon dilation valvuloplasty for pulmonic stenosis (PS) or subaortic stenosis (SAS). Pacemaker Placement: Pacemaker placement is the most common interventional Cath Lab procedure that we perform. It involves accessing the heart via a peripheral blood vessel, and implanting a set of electrodes (called leads) into the heart to correct for certain arrhythmias. The lead is connected to the pacemaker device, which sends the electrical impulses through the leads to the heart. The pacemaker device is implanted under the muscle on the side of the neck, while the lead extends through the jugular vein into the heart. We have the ability to adjust the programming of the pacemaker onsite when needed. Oxygen Therapy: Oxygen supplementation can be delivered to your pet when indicated via flow by, intranasal, or environmentally controlled oxygen cage. Delivering a higher percentage of oxygen to the lungs can help maximize oxygen delivery to tissue in cases of respiratory or cardiac dysfunction. If you are a new client to CVRC, we encourage you to fill out our New Patient Registration Form ahead of time online, or bring the form with you. Otherwise, please arrive to your appointment approximately 10 minutes early to complete this form in our office. Visits with the Cardiology service at CVRC tend to take about an hour. If your pet’s care is more complicated, additional time might be needed. Your visit will start with the cardiology technician meeting you and your pet and getting a full history from you. Please bring any medications that your pet is taking so that we can confirm dosing. The cardiology technician or the cardiologist will go over diagnostic plans and costs with you. After making a plan for diagnostics, we will take your pet to our treatment area or echocardiography suite to perform any tests (echocardiogram, ECG, X-rays, blood pressure, bloodwork, etc.). When testing is done, we will return your pet to you while the cardiologist is interpreting tests and writing a summary report. The cardiologist will explain the results of the exam and diagnostic tests after they are completed and answer any questions you may have. We will also communicate with your primary veterinarian during this process to ensure a collaborative treatment plan for the care of your pet. You will be given a printed visit summary with the diagnosis, treatment recommendations, and follow up care. A full report will be sent to your family veterinarian as well. We welcome your progress reports, questions and concerns any time and will maintain an ongoing relationship with your primary care doctor to ensure the best experience for you and the best care for your pet. First and most importantly, bring your pet to all visits. Follow your normal routine for medications and feeding the day of your visit, unless you have been instructed otherwise by our staff. Also, please bring all medications that your pet is receiving so that we can verify the dosages. Ensure that the person bringing your pet in has a good knowledge of your pet's medical history, as this is an important part of the consultation. Records can be faxed or emailed to us from your primary care veterinarian prior to the appointment. If your pet has had any x-rays taken recently, please bring those with you as well. We can request records and digital x-rays on your behalf from your family veterinarian once you have scheduled a visit with us. Ensuring that you bring all related information will minimize the risk of needed to repeat any diagnostics or tests. How much does it cost for a consultation with the cardiologist? A heart murmur is an abnormal sound heard on physical exam with a stethoscope, which develops when blood flow in the heart or great vessels is turbulent. This occurs when blood flow is too fast and is often (although not always) a sign of heart disease. The loudness of a heart murmur (grade) is related to the severity of the heart disease in some cases, but not all. If the disease is severe, your pet might be at risk to show symptoms of heart disease (trouble breathing, cough, exercise intolerance, lethargy, abdominal distention, weakness, collapse, etc.). The best way to investigate the cause and significance of a heart murmur is with heart imaging, and echocardiography is superior to chest X-rays for this purpose. Echo's and chest X-rays are offered at CVRC through the Cardiology service. Information provided by echo will be used to formulate the best treatment plan to keep you pet as comfortable and happy as possible for as long as possible. What does it mean if my puppy or kitten has a heart murmur? Heart murmurs can be benign, significant, or somewhere between. If your puppy or kitten has a loud heart murmur, it is probably because he or she was born with a heart defect. An echocardiogram (echo) is strongly recommended for these cases, as some heart defects are fixable in the Cath Lab, while others can be managed with medications to improve quality of life and life expectancy. A workup should be performed sooner rather than later, so that management can be started before the heart changes irreversibly and symptoms develop. Waiting to perform a workup until clinical signs develop worsens the prognosis. If your puppy or kitten has a soft heart murmur, it might still be because he or she was born with a defect, but a soft heart murmur can also be completely benign (not associated with underlying disease). An echo is the only way to know the difference. If you are going to have an echo performed in a young animal with a heart murmur, it should be a complete echo with Doppler performed by a cardiologist. Heart defects can be very complicated and cardiologists are specially educated and trained in this area. Doppler provides information about severity of disease, which is essential to guide treatment plans. If my pet was born with a heart defect, can it be fixed? Some heart defects that animals are born with can be completely fixed, while others can be improved by interventional procedures performed in the Cath Lab. These procedures are modeled after interventional procedures performed in people. We can fix or improve some heart defects by accessing the heart through catheters placed in peripheral veins and arteries in the neck and the groin. In this way, we can treat heart defects that used to be treatable only with open chest surgery (sometimes open heart surgery). Other heart defects that your pet might have been born with can be better managed with medications. After the workup at CVRC, the cardiologist will speak with you about what the options for treatment are. An arrhythmia is an abnormal heart rate or rhythm. Arrhythmias are a consequence of dysfunction of the heart’s electrical system. An ECG is required to diagnose what arrhythmia your pet has, which is necessary to make the best treatment and monitoring plan. If severe, arrhythmias can cause symptoms such as weakness, collapse, restlessness, and even sudden death. Treatment for arrhythmias depends on whether the arrhythmia is too fast or too slow. If the arrhythmia is too fast, treatment is usually with medications. If the arrhythmia is too slow, treatment is usually pacemaker implantation. The cardiologist at CVRC will be able to interpret the ECG and explain the significance, treatment options, and prognosis with you. Heart failure is a group of symptoms that occurs when the heart can no longer keep blood moving forward effectively. It results in the accumulation of fluid in or around the lungs (or less commonly, in the abdomen). The most common and significant symptom of heart failure is trouble breathing. Other symptoms include cough, exercise intolerance, lethargy, decreased appetite and abdominal distention. Chest X-rays are required to diagnose most cases of heart failure. If your pet has heart failure diagnosed, a workup with the cardiologist at CVRC will help optimize the treatment and monitoring plan for your pet, increasing life expectancy for as long as possible. Animals can be effectively treated for heart failure for over a year, with a good quality of life. What does a large heart on chest X-rays mean? A large heart on chest X-rays usually signifies heart disease of some variety. If your veterinarian is concerned that your pet has a large heart on chest X-rays, an echocardiogram (echo) would be the next diagnostic step. An echo is much more sensitive and gives more information than a chest X-ray to identify specific heart diseases (many of which can cause a large heart), and is needed in order to optimize management and outcome. Sometimes, an echo will show that the heart is actually normal, even though it has looked abnormal on chest X-rays. This also is important to know so that unnecessary medications or treatments can be avoided. What is the Cath Lab and what is an interventional procedure? The Cath Lab is the room in which the cardiologist at CVRC performs interventional procedures. These procedures require extensive specialized equipment and training. They are minimally invasive procedures in which the heart is accessed using catheters placed in the peripheral blood vessels in the neck and groin. In this way, heart disease can be treated without open chest or open heart surgery. The most common cardiac procedure performed in the Cath Lab is pacemaker implantation in dogs that are collapsing because of very slow heart rates. Other procedures include patent ductus arteriosus (PDA) closure and balloon dilation valvuloplasty for pulmonic stenosis (PS) or subaortic stenosis (SAS). These procedures can cure or improve heart diseases, leading to better quality of life and life expectancy. While referrals are recommended to see one of our specialists, they are not required. It is always better to speak to your veterinarian about a referral so we can collaborate with your veterinarian to ensure the best care for your pet. What are the advantages of Digital X-ray vs traditional film X-ray? After being thoroughly examined by one of our doctors, your pet is anesthetized and placed in the MRI. The MRI technician positions the patient and programs the MRI computer for the desired type of study. An MRI study typically takes 30 minutes to one hour to complete, and requires general anesthesia, as the animal must be perfectly still for the duration of the study. The images are reconstructed on a computer console attached to the MRI, then reviewed by our specialists. MRIs are performed by technicians who have received advanced education and training in magnetic resonance imaging. What types of advanced diagnostics and procedures are offered? Gastroenterology – the study of the mouth, esophagus, stomach, intestines, liver, gallbladder and pancreas. Typical conditions include inflammatory bowel disease (IBD), food allergies, hiatal hernias, polyps, foreign bodies, gastroesophageal reflux disease (GERD) or cancers. Endoscopy: utilizing small and flexible endoscopes to examine and obtain (in a minimally invasive way) biopsies of the larynx, oropharynx, esophagus, stomach, duodenum, ileum and colon. Also to retrieve foreign objects that your pet may have ingested. Respiratory Medicine – the study of the upper and the lower respiratory tract. Diseases include nasopharyngeal polyps and cancers, chronic rhinitis (inflammation), nasopharyngeal stenosis, laryngeal paralysis, collapsing trachea, tracheal hypoplasia (congenital disorder), fungal infections of the nasal passages and lungs, feline asthma, chronic bronchitis, and infectious pneumonias. Endocrinology – the study of multiple glands of the body (parathyroid, thyroid, adrenal, pancreas, pituitary and hypothalamus glands). Common endocrine diseases include diabetes mellitus, diabetes insipidus, adrenal tumors, hyper and hypoparathyroidism, hyper and hypothyroidism, Cushing’s disease, Addison’s disease, as well as excessive drinking and urinating. Nephrology/Urology – the study of the kidneys, ureters, bladder, prostate, and urethra. Conditions that are diagnosed and treated include acute and chronic kidney failure, kidney and bladder stones, prostatitis and prostate cysts, bladder polyps, kidney infections, congenital kidney diseases, urinary incontinence and urethral/bladder/prostate cancer. Hematology – dedicated to the diagnosis and treatment of diseases of the blood (containing red blood cells, white blood cells, platelets, proteins, clotting agents) and its precursors. Diseases include hemophilia and congenital/hereditary diseases, bleeding disorders, hemolytic anemias (destruction of red blood cells by the animal’s immune system caused by infectious agents), infectious and destructive platelet disorders, and bone marrow disorders. Infectious Diseases – is the branch that aims to diagnose and treat infectious agents that may afflict cats and dogs. In certain instances, these diseases can be transmitted from one pet to another, from a vector (such as ticks) to animals, and even from pets to humans (zoonosis). Infectious diseases include: Leptospirosis, Influenza, Herpes, Lyme, Babesiosis, Rocky Mountain Spotted Fever, Anaplasmosis, Ehrlichiosis, and rickettsial agents, among others. Interventional Medicine – a relatively new branch of veterinary medicine. It aims to provide minimally invasive procedures to treat common problems in animals. Interventional Medicine involves using stents placed in areas to keep them open (trachea for tracheal collapse, urethra for cancers), endoscopy and fluoroscopy (to diagnose diseases and guide the placement of stents). Internal medicine consultation usually begins with your family veterinarian diagnosing a disease or condition that requires advanced expertise, diagnostics, therapeutics, and patient monitoring. A full history, medical record review, and complete physical examination are performed. After examination and discussion, an initial treatment plan will be presented for the diagnostic workup and/or treatment. Our internal medicine specialist will communicate with you during the work-up or treatment process to keep you informed on your pet's progress. We will also communicate with your primary veterinarian during this process to ensure a collaborative treatment plan for the care of your pet. Upon discharge, you will be given a printed visit summary with the diagnosis, treatment recommendations, and follow up care. A full report will be sent to your family veterinarian the same day. We welcome your progress reports, questions and concerns any time and will maintain an ongoing relationship with your primary care doctor to ensure the best experience for you and the best care for your pet. Ultrasound is a diagnostic tool used to obtain more detailed information about internal body structures.Ultrasound machines use sound waves administered by a small handheld device called a probe, waves are reflected back to the probe, and a computer formats these into visual pictures on a monitor for the clinician to review. Ultrasound is painless and noninvasive. Minimally invasive techniques to obtain samples of organs for diagnosis of illnesses and cancers (fine needle aspirates and ultrasound-guided biopsies). Anesthesia or sedation is required to allow for the passage of an endoscopy into the area of interest. We use the most up to date and safest anesthetic agents, preanesthetic laboratory screening, tailored anesthetic protocols, and state of the art monitoring equipment to ensure safety for your pet before, during, and after anesthesia. Echocardiography is painless and noninvasive. For most patients, sedation or anesthesia is not required. Certain advanced procedures may require sedation or anesthesia for patient comfort and compliance. Pets sleep cycles in the hospital environment are altered so it is not uncommon for them to be tired when returning home. This may last for 24 hours. If your pet appears listless, unable to ambulate, or you are concerned please call us. What disease processes are addressed and what procedures are offered? Physical rehabilitation for return to function after brain or spinal cord injury, disease, or surgery. Neurology consultation usually begins with your family veterinarian diagnosing a disease or condition that requires advanced expertise, diagnostics, therapeutics, and patient monitoring. A full history, medical record review, and complete physical examination are performed. After examination and discussion, an initial treatment plan will be presented for the diagnostic workup and/or treatment. Our neurologist will communicate with you during the work-up or treatment process to keep you informed on your pet's progress. We will also communicate with your primary veterinarian during this process to ensure a collaborative treatment plan for the care of your pet. Upon discharge, you will be given a printed visit summary with the diagnosis, treatment recommendations, and follow up care. A full report will be sent to your family veterinarian the same day. We welcome your progress reports, questions and concerns any time and will maintain an ongoing relationship with your primary care doctor to ensure the best experience for you and the best care for your pet. Does my pet need an MRI or CT scan? Consultation with our neurologist, review of history, full physical examination, and discussion with you will dictate the necessity of either MRI or CT Scan. Please be aware that CT and MRI overlap in their use, and the decision of one modality over another is based on desired tissue resolution, availability, cost, anticipated findings and patient stability. Can my pet have an MRI or CT Scan the day of my appointment? Depending on the nature of your pet's neurological issue, time of your appointment, and schedule for the day, we can often offer imaging after your appointment. Please let us know when scheduling your appointment if you know at that time that you would like this option. CT can be used for imaging a wide variety of body tissues. For neurological purposes, it is generally used to images diseases or disorders of the brain, spinal cord, or peripheral nervous system. Magnetic Resonance Imaging (MRI) is an advanced, non-invasive, non-radiating imaging modality that has become commonplace in human medicine, and has rapidly expanded into the veterinary field. MRI uses a strong magnetic field that aligns protons of the body tissues within the field. A radio frequency signal (RF) is then applied to the field which disrupts the alignment of these protons, after which they return to their original state. The RF signals are collected by a receiver (called a coil) and then transmitted back to a computer, which creates visual images from this information. These images are easily constructed in axial, dorsal, sagittal and oblique planes for review by the clinician or radiologist. MRI is often performed using an intravenous contrast agent that enables us to better visualize certain structures and abnormalities. MRI yields the highest level of soft tissue detail compared to other imaging modalities. This sensitivity allows for highlighting desired structures or tissues by adjusting settings on the MRI machine. While MRI can be used for imaging a wide variety of body tissues, for neurological purposes, it is used to image diseases or disorders of the brain, spinal cord, or peripheral nervous system. Does my pet need to be sedated or anesthetized for an MRI? Anesthesia or sedation is required to perform an MRI. We use the most up to date and safest anesthetic agents, preanesthetic laboratory screening, tailored anesthetic protocols, and state of the art monitoring equipment to ensure safety for your pet before, during, and after anesthesia. Depending on the nature of your pets' neurological issue, the diagnostics or treatments performed, and their timing, your pet may or may not need to stay overnight. When only imaging (MRI or CT) is performed, your pet can usually return home the same day of the imaging procedure. Our doctor or veterinary nurse will discuss the expected hospital stay during your visit or admission to the hospital. Should my pet have physical rehabilitation after spinal cord injury or surgery? Consultation with our neurologist, review of history, full physical examination, and discussion with you will dictate the necessity of physical rehabilitation. Many patients respond very well and have a faster return to function after injury or surgery. We have several certified rehabilitation specialists who collaborate with our neurology team to ensure the best outcome for your pet. What should I expect during my initial visit? Oncology consultation usually begins with your family veterinarian diagnosing a disease or condition that requires advanced expertise, diagnostics, therapeutics, and patient monitoring. A full history, medical record review, and complete physical examination are performed. After examination and discussion, an initial treatment plan will be presented for the diagnostic workup and/or treatment. Our oncologist will communicate with you during the work-up or treatment process to keep you informed on your pet's progress. We will also communicate with your primary veterinarian during this process to ensure a collaborative treatment plan for the care of your pet. Upon discharge, you will be given a printed visit summary with the diagnosis, treatment recommendations, and follow up care. A full report will be sent to your family veterinarian the same day. We welcome your progress reports, questions and concerns any time and will maintain an ongoing relationship with your primary care doctor to ensure the best experience for you and the best care for your pet. Does the oncologist only see pets that have been diagnosed with cancer? Our oncologist often sees pets that are suspected of having cancer even if a definitive diagnosis has not yet been made. Using imaging modalities, laboratory tests, physical exam findings and procedures we can determine if your pets clinical signs are resulting from cancer. My pet has cancer. How long will he/she live with treatment? This answer is highly variable depending on the condition of your pet, type and stage of cancer, any other related medical conditions, and the treatment protocol used. Please schedule an appointment with our oncologist to discuss the options for diagnosis and treatment for your pet. At that time, the oncologist will be able to give you an expectation level of survival time. What are the common side effects of chemotherapy? The most common side effect of chemotherapy in our patients is decreased appetite and nausea. These are usually mild, short in duration, and easily controlled with some medications. Occasionally vomiting and diarrhea may occur. Please be in contact with us immediately if your pet is having any side effects so that we can address them and adjust our treatment protocols if necessary. In very rare instances side effects requiring hospitalization and more aggressive therapy may be required. Depending on the stage and type of cancer, response to treatment, and your pet's overall health condition, this can vary greatly. Our oncologist will provide a detailed treatment protocol to you with the expected duration and frequency of treatments at your appointment. How long does it take to give chemotherapy? Usually the visit for chemotherapy takes 30 minutes to 1 hour. The oncologist will perform a full examination at every visit and review laboratory work to ensure your pet can receive treatment. Some medications require a longer time to administer to minimize the side effects to your pet. Can I drop my pet off for chemotherapy? We are happy to offer drop off chemotherapy appointments if that works better for your schedule. We also have regularly scheduled appointment times and try to be accommodating of your schedules as much as possible. Injectable drugs are given through a small needle directly into a vein or under the skin and cause no more discomfort to animals than a routine vaccine. Some chemotherapeutic protocols will use oral medications that are given by you at home, or by us in the hospital. For your pet’s safety, we use the Phaseal® system which is the only clinically-proven Closed System Drug Transfer Device (CSTD) that prevents hazardous drug interaction with the environment. This allows quick and safe administration, so your pet can be back home with you as soon as possible. The cost associated with the diagnosis and treatment of your pet's condition varies significantly with the type of cancer as well as the type of treatment. Our oncologist will discuss the costs associated with treatment at the time of your appointment. Can you cure my pet's cancer? Some cancers can be cured (depending on the type of cancers), and many can be kept in remission for long periods of time. What is 'staging' and what is it important? Cancer staging is the diagnostic process of determining how much cancer is in the body, and where it is located. This is typically done with diagnostic tools like CT Scan, x-ray and ultrasound, as well as a detailed physical examination. It is important because it tells us if different body areas are affected by the cancer, if it has spread, as well as if our chemotherapy is working effectively. Metronomic chemotherapy is a new way of dosing traditional chemotherapy in our patients for certain types of cancer. It consists of oral drugs compounded into VERY SMALL doses and given at home on a daily basis. The goal of this type of dosing is to target the blood vessels that supply blood and nutrients to the remaining tumor cells (these cells require blood supply and nutrients to regrow). This therapy has minimal side effects. A blood transfusion is a procedure performed when a patient has a low red blood cell count, low platelets, or other deficiencies in their blood. Blood typing is performed to ensure recipient-donor compatibility. An intravenous catheter is placed into their leg, and a bag of donor blood is delivered into their vein over several hours. The patient is closely monitored during this time for any immune reaction to the donor blood. Most patients respond very well to this treatment when needed. What precautions do I need to take at home with my pet while he/she is receiving chemotherapy? Chemotherapy will be present in your pet’s urine up to 21 days. The specifics can vary depending on the specific drugs used and it is highly recommended to take some basic precautions to prevent exposure. Any accidental urination in the house should be cleaned up promptly and disposed of in a separate bag. Be sure to wear gloves when handling stool or urine clean-ups. Keep children and other pets away from areas where accidents have occurred. When allowing pet to urinate outside, take to an area which is not visited by other pets or children. If accidental skin contact is made with urine, wash skin thoroughly with soap and water. Floors can be cleaned by thoroughly washing with a detergent cleanser. We are very excited to be offering electrochemotherapy (ECT) at Charleston Veterinary Referral Center. Please follow this link for more information about ECT. Does my pet need a CT Scan? Consultation with our oncologist, review of history, full physical examination, and discussion with you will dictate the necessity of a CT Scan. Can I have a CT Scan the day of my appointment? Depending on the nature of your pet's condition, time of your appointment, and schedule for the day, we can often offer imaging after your appointment. Please let us know when scheduling your appointment if you know at that time that you would like this option. What is an aspirate or biopsy? Aspirates and biopsies are the acquiring of a tissue sample to diagnose the cell composition of a tissue. We use these to diagnose the type of tumor. Often special laboratory tests are required to come to a final diagnosis. Tissue can be acquired surgically, endoscopically, by needle aspiration, using ultrasound or CT guidance, or by impression smear of a tumor. How long will the laboratory results take? When we are analyzing a sample in our internal laboratory, results are usually available within hours. Many samples get sent out to reference laboratories for further analysis or special testing. These can take 2-5 business days depending on the test. We will be in contact with you once the results are available. Depending on the nature of your pet's condition, the diagnostics or treatments performed, and their timing, you pet may or may not need to stay overnight. Overnight stays are uncommon for our cancer patients. Our oncologist will discuss the expected hospital stay during your visit or admission to the hospital. In an emergency situation, the priority is for you and your pet to get to CVRC. Once it is determined that your pet is going to be hospitalized, you may bring all prescription medications your pet is currently receiving. We carry most common medications if this is not feasible. Our doctor will determine if these should be continued during your pets stay. What conditions may benefit from physical rehabilitation? At the initial rehab visit, we will discuss the options available for rehab, assess muscle mass and range of motion, evaluate gait and mobility, obtain stance analyzer measurements, and assess pain level. A customized plan of treatment is developed to address the particular challenges of your pet. The initial rehab visit will take approximately 1.5 hours. We will discuss management options with you to determine a schedule of visits. Postoperative patients may initially be managed as inpatients, but the majority of treatments are performed on an outpatient basis. The education of owners to perform simple strength and coordination exercises at home is an important component of therapy. The response to rehabilitation is closely monitored and your pet’s program will be adjusted accordingly. What should I bring to my initial rehab consultation? First and most importantly, bring your pet to all visits. Records, including recent laboratory work, can be faxed or emailed to us from your primary care veterinarian prior to the appointment. If your pet has had any x-rays taken recently, please bring those with you as well. We can request records and digital x-rays on your behalf from your family veterinarian once you have scheduled a visit with us. What should I expect during my rehabilitation sessions? The rehabilitation session lasts approximately 1 hour, and is centered on various exercises and therapeutic treatments that are targeted specifically to the goals of your pet’s rehabilitation plan. Each session is fully inclusive of all the treatment modalities that we have available and are appropriate for your pet. The rehabilitation nurse or doctor is actively tracking your pet’s progress during all rehabilitation sessions, ensuring that the exercises are appropriate and we are making progress towards our goals. At the end of the session we will go over any change to the home exercise plan and may prescribe new exercises. At the completion of a series of sessions, all measurements will be repeated to help evaluate progress. What should I bring to my rehab sessions? Bring your pet, and please arrive 5-10 minutes early to fill out history paperwork for your pet. If your pet has food allergies or dietary restrictions we encourage you to bring the appropriate treats or food with you so they can be rewarded during their therapy. May I stay with my pet and observe or participate in the rehabilitation session? We will do our best to accommodate your request to observe your pet during a rehabilitation session. However, we have found this can often be more of a distraction. We have windows outside the rehab room that are available for viewing, if appropriate. Availability will depend on how many patients we have, the time of day, etc., and is at the discretion of the rehab staff. How much does it cost for a consultation with the physical rehabilitation specialist? Our specialist consultation fee is $105. After an assessment by our specialist, you will be provided with a detailed medical treatment plan with estimate of costs. You and the specialist will review this and determine the best course of action for you and your pet. We have several package options available to meet the needs of you and your pet. We will communicate with your primary veterinarian during this process to ensure a collaborative treatment plan for the care of your pet. A full report will be sent to your family veterinarian the same day as your visit. We welcome your progress reports, questions, and concerns any time, and will maintain an ongoing relationship with your primary care doctor to ensure the best experience for you and the best care for your pet. Your primay vet may also have the ability to access an online portal into your pet’s medical record. The number of sessions required depends on many factors. Your rehabilitation clinician will tailor a plan to meet your pet’s and your individual needs. What treatment modalities are offered? Laser therapy is used to increase quality and strength of tissue repair, decrease inflammation, reduce edema and give pain relief. The effects are photochemical, not thermal and happen at the cellular level. Benefits include faster wound healing, increased vascular activity, stimulated nerve function, reduction of scar formation, decreased pain, and decreased inflammation. Laser therapy is beneficial for wound management, soft tissue injuries, inflammation, chronic pain, arthritis, and acupressure points. What are the applications for laser therapy? What is underwater treadmill therapy? Water is an excellent environment in which to exercise. The principle of buoyancy combined with that of resistance make this a unique and safe method of rehabilitation. We have an underwater treadmill that provides an opportunity to strengthen muscles with little to no pressure on the patient’s joints and is beneficial for neuromuscular re-education. Walking on the treadmill improves cardiovascular stamina and is a key component of most weight loss programs. The warmth of the water helps to increase flexibility and mobility of muscles, tendons, and ligaments that surround the joints as well as enhance circulation. In addition, our treadmill is enhanced with therapeutic jets that can be used for massage, like a whirlpool, or provide increased resistance for conditioning. Hydrotherapy has the overall benefit of earlier return to function for many of our patients and also helps to increase self-confidence. It is not unusual for an animal that is not using a limb on land to use it when walking in the water. They often use the limb in an exaggerated motion which adds to the therapeutic benefits of hydrotherapy. We can adjust variables of speed, duration of treatment, and water level during each treatment to maximize the therapeutic results. What are the benefits of underwater treadmill therapy? What are the applications for underwater treadmill therapy? What is the difference between underwater treadmill (UWTM) therapy and swimming? While both therapies are beneficial for cardiovascular fitness, the UWT provides total body therapy by working both the front and rear limbs while allowing for control of the water level, treadmill speed, and water resistance. When animals swim, they typically use the front legs, but may either rudder with the back legs, keeping them tucked under their body or sporadically kick, but not in a controlled manner. For this reason, we primarily use the underwater treadmill for walking/trotting in our rehabilitation regiment here at CVRC although swimming is appropriate in certain cases. But, my dog doesn't like water? And he doesn't know how to swim? We begin with a slow introduction to the underwater treadmill that involves a lot of positive reinforcement. We will never rush this process and will take whatever time is necessary to be sure your pet is comfortable in the UWT before proceeding. If your pet is one of the rare patients that does not tolerate working in the UWT, there are a number of other activities that we can do to help your pet recover from injury or surgery. While some dogs are able to swim in the UWT, the majority will not. As mentioned earlier, walking in the UWT provides a more controlled exercise environment for our patients and is often preferred over swimming while your pet is recuperating from surgery/injury. Will my dog be wet when I pick him up? We will do our best to get your pet as dry as possible before he goes home. We have grooming dryers to supplement towel drying after the UWT session and in most instances your pet will be dry. Therapeutic ultrasound produces both thermal and non-thermal effects. The thermal effects of a therapeutic ultrasound occur through warming of tissues and can be very beneficial in treating soft tissue injuries. It can be used to increase the flexibility of muscles while decreasing muscle spasm and scar tissue. We have also found it can increase circulation and minimize inflammation of damaged tissues. The non-thermal effects aid in tissue regeneration, soft tissue repair, bone healing along with reduction of swelling, muscle spasm, and pain. Using ultrasound to increase extensibility of collagen can help increase joint range of motion. Therapeutic ultrasound is beneficial for many conditions including orthopedic injuries and fractures, wound healing, chronic pain, osteoarthritis, and tendon injuries. What is electrical stimulation (e-stim)? Electrical Stimulation (e-stim) is the application of electrical impulses to a muscle or muscle group stimulating their contraction. Neuromuscular electrical stimulation (NMES) can be used to prevent atrophy of a muscle or muscle group, particularly in neurologic cases. NMES is also helpful in reducing swelling, inflammation, and edema, as well as overcoming muscle reflex inhibition and assisting in tendon and fracture healing. Transcutaneous electrical stimulation (TENS) aids in pain management. Massage is a focused, intentional, and deliberate touch using a variety of strokes. Massage is a non-invasive way to improve your pet’s health and utilizes soft tissue manipulation to achieve different goals such as relaxation, stimulation, and relief of muscle problems. It allows the body to function efficiently by helping to restore muscle tone. Massage increases circulation bringing oxygen and nutrients to the tissues and provides relief from many common ailments as well as enhances performance. With regular massage therapy sessions, we often see improved muscle function, flexibility and range of motion, as well as decreased pain, soreness and stiffness. We utilize massage in many of our patients including those recovering from surgery and sports injuries, geriatric patients with arthritis and weakness, and neurologic patients recovering from or living with debilitating disease. What are therapeutic exercises used for? We evaluate each patient and design a set of exercises that are most effective in that patient’s rehabilitation. These are designed to achieve the goals for that patient’s recovery. Exercises may be directed at helping the patient with strengthening specific muscles or stretching to increase flexibility or learning how to regain the feeling and use of a foot or limb. We demonstrate each activity and teach our pet owners to perform these at home on a prescribed schedule. We try to incorporate the special needs and skills of patients and their families. What is hot/cold therapy and when is it used? Appropriately timed in the rehabilitation process, cold and heat can be very beneficial in decreasing pain and inflammation. Initially, in the first 72 hours, we use cold therapy to decrease the pain and inflammation associated with surgery or trauma. This occurs by decreasing pain perception, decreasing blood flow and decreasing inflammation. Cold therapy may also be indicated following exercise sessions to manage exercise induced inflammation and pain. Heat therapy is used later in the healing process to increase blood flow, increase muscle flexibility decrease pain and increase healing. Heat therapy is also appropriate as a warm up to some exercises. The therapy team will direct you when to use hot or cold therapy for your pet. My pet is overweight or out of shape. What can I do? Unfortunately, many pets are overweight or have poor conditioning. This makes it more likely for them to develop a variety of health conditions, such as arthritis, diabetes, ligament injuries, and dysfunction of body systems such as the circulatory, digestive and excretory systems. Conditioning, fitness, and weight loss are goals that can be obtained with a comprehensive plan from our physical rehabilitation department. My dog doesn't have an injury. Can he/she still benefit from rehab? Definitely! Just like people, pets can benefit from a regular exercise program. If you are interested in setting up a conditioning program for your pet, please contact us to schedule an initial consult. This will allow us to evaluate your pet and make sure there are no contraindications to your pet beginning our conditioning program. Can my pet receive rehabilitation while hospitalized? Depending on your pet’s condition, rehabilitation is often introduced during the initial hospital stay after surgery or injury. Our rehabilitation team will collaborate with your primary doctor at CVRC to discuss and offer rehabilitation if it is appropriate for your pet’s condition. Can I leave my pet for the day? We are happy to offer day boarding for our rehabilitation patients to assist with scheduling needs. Please let us know when scheduling that you will be leaving your pet with us. Also, please bring any medications that will need to be administered while your pet is at CVRC. Please note: additional fees may apply. Will I need to do exercises at home? Results of therapy are much better when a home exercise plan (HEP) is followed. We evaluate each patient and design a set of exercises that are most effective in that patient’s rehabilitation. These are designed to achieve the goals for that patient’s recovery. Exercises may be directed at helping the patient with strengthening specific muscles, stretching to increase flexibility, or learning how to regain the feeling and use of a foot or limb. We demonstrate each activity and teach our pet owners to perform these at home on a prescribed schedule. We try to incorporate the special needs and skills of patients and their families. What if I don't have time to work with my pet at home? The home exercise program (HEP) is meant to complement your pet's rehabilitation sessions performed here at CVRC. We recognize that your lifestyle and time constraints may not be conducive to performing all the additional exercises at home. We will work with you to develop a program that will fit your schedule while still benefitting your pet. Please let us know what you feel you can perform and our rehabilitation team will work with you to make this a positive part of your pet's rehabilitation experience. I cannot come to CVRC for routine rehabilitation appointments, is it beneficial to come for an appointment for a home rehabilitation plan? Absolutley! After assessing your pet, we can form a rehabilitation plan that works logistically for you and your pet. This can be a plan where most of the activity is done at home, with only an occasional visit to CVRC for reevaluation. Is it normal for my pet to be sore or tired after therapy? It is very common for your pet to be tired after rehabilitation, especially early on in the treatment plan. This should improve over time as your pet’s physical condition improves. If your pet seems sore or uncomfortable, please let us know so that we can adjust the rehabilitation plan, or prescribe medications if needed. Should my pet have physical rehabilitation after an injury or surgery? Consultation with your pet’s surgeon, or family veterinarian, review of history, full physical examination, and discussion with you will dictate the necessity of physical rehabilitation. Many patients respond very well to physical rehabilitation and have a faster return to function after injury or surgery. We have several certified rehabilitation specialists who collaborate with our surgical team to ensure the best outcome for your pet. What soft tissue procedures are offered? What orthopedic procedures are offered? Physical rehabilitation for return to function after injury, disease, or surgery. What neurosurgical procedures are offered? What minimally invasive procedures are offered? Surgical consultation usually begins with your family veterinarian diagnosing a disease or condition that requires advanced expertise, diagnostics, therapeutics, or surgery. A full history, medical record review, and complete physical examination are performed. After examination and discussion, an initial treatment plan will be presented for the diagnostic workup and/or treatment. Our surgeon will communicate with you during the work-up or treatment process to keep you informed on your pet's progress. We will also communicate with your primary veterinarian during this process to ensure a collaborative treatment plan for the care of your pet. Upon discharge, you will be given a printed visit summary with the diagnosis, treatment recommendations, and follow up care. A full report will be sent to your family veterinarian the same day. We welcome your progress reports, questions and concerns any time and will maintain an ongoing relationship with your primary care doctor to ensure the best experience for you and the best care for your pet. Consultation with our surgeon, review of history, full physical examination, and discussion with you will dictate the necessity of either MRI or CT Scan. Please be aware that CT and MRI overlap in their use, and the decision of one modality over another is based on desired tissue resolution, availability, cost, anticipated findings and patient stability. While MRI can be used for imaging a wide variety of body tissues, for most veterinary applications, it is used to image diseases or disorders of the brain, spinal cord, or peripheral nervous system. It may also be used for imaging of muscles, tendons, and ligaments. Will my pet be in pain after surgery? We are very sensitive to the comfort level of your pet. Patients are vigilantly monitored for comfort (as well as other vital parameters), and a multimodal approach to pain management is used with combinations of safe medications used to allow for as comfortable a recovery as possible. Depending on the nature of your pet's disease or injury, the diagnostics or treatments performed, and their timing, you pet may or may not need to stay overnight. Our doctor or veterinary nurse will discuss the expected hospital stay during your visit or admission to the hospital. Many surgical procedures will necessitate an overnight stay for monitoring of vital parameters, medication delivery, and ensuring patient comfort. Does my pet need to have their activity level restricted after surgery? Yes, generally a minimum of 2 weeks is needed to allow incisions to heal. Additional restrictions will be based on the specific procedure performed. Please refer to your discharge instructions for specific information. Will my pet be on medications after surgery? Many surgical patients are discharged with medications to continue at home. These usually medications to help with patient comfort (pain medications, anti-inflammatory medications), but sometimes antibiotics or other medications are necessary. It is common for pets that were on IV fluids to have increased urine production. Therefore, they may need to urinate more frequently.. This may last for 24-48 hours. If they are straining or not producing urine, please call us immediately. Should my pet have physical rehabilitation after injury or surgery? Consultation with your pet’s surgeon, review of history, full physical examination, and discussion with you will dictate the necessity of physical rehabilitation. Many patients respond very well to physical rehabilitation and have a faster return to function after injury or surgery. We have several certified rehabilitation specialists who collaborate with our surgical team to ensure the best outcome for your pet. How do I refer a case to CVRC? How can I obtain a copy of the referral form? Use our web-based referral form to the right, or download a PDF version..
How can I request some information pamphlets about CVRC? Please call or email (info@charlestonvrc.com) to request pamphlets. Where can I read about your specialties and services? Click here to view detailed information about our services. Do I need to call before referring a case (elective or emergency) to CVRC? Whenever possible it is best to call prior to referring an emergent case to CVRC so that our emergency doctor can be familiar with the case. For electives, the referral form and associated records are usually sufficient, but our specialists would be happy to discuss the case with you prior to referral if you would like via phone or email. How do I use web chat to refer a case? Use the webchat popup or main menu navigation to live chat with our front staff during normal business hours. They can facilitate any referrals or genereal questions you may have. What can my clients expect at their visit to CVRC? Our goal and desire is to ensure that each client has an excellent experience at CVRC. We aim to treat your clients and patients with respect and compassion and communicate effectively with them AND you. We want them to feel as if we are an extension of your practice. Can I contact one of your doctors via email directly to discuss a case? What is their email address? Our doctors are available to you by email to discuss cases (including cases that may not be referred to CVRC). If you DO NOT have our doctors direct email address, It is best to begin the process by emailing info@charlestonvrc.com, and we will get your email to the requested doctor. They will reply directly to you from there. You can also request their email directly via phone or general email (info@charlestonvrc.com). Can you tell me how much a certain procedure or workup will cost prior to assessing the patient? We are always happy to give a rough cost estimate for the treatment plan for a specific patient or procedure. Please contact us at (843) 614-8387 to inquire, email us at info@charlestonvrc.com (for non-pressing questions), or use the contact us link. How can I send records to CVRC? Records may be faxed (843) 614-8722, emailed (records@charlestonvrc.com), or can be brought with the pet if they cannot be emailed or faxed prior to their visit. How can I send diagnostic images (x-ray) to CVRC? Images can be brought by the client on a disc or usb drive, emailed (records@charlestonvrc.com), or sent using a weblink (if you use a service like idexx or antech). We can accept direct DICOM send of images as well. Can I send DICOM images directly to CVRC? We are setup to receive directly sent DICOM images. You must be configured in your computer system to be able to send DICOM images. Clinics using teleradiology solutions usually have this configured and can easily be programmed with our information. We do request that you send a notification to records@charlestonvrc.com that you have sent DICOM files so that we are expecting them. Please email info@charlestonvrc.com for the DICOM send details. How do I access the Referring Veterinarian Portal? Click on the portal link to the right. How do I request a portal account or recover a forgotten password? Use this link to request portal access or to recover a forgotten password (enter that you have forgotten your password in the comments section of the form). You may also info@charlestonvrc.com with your request or call our main number. What is the Referring Veterinarian portal and how does it work? The referring veterinarian portal is a way for you to access all the medical records for any patient/client that has listed you as their primary veterinarian. The portal is available by clicking on the referring veterinarians section of our website (www.charlestonvrc.com), or directly at http://refvetportal.charlestonvrc.com. The navigation bar will show on the left side of the screen (once you log in) and will help you to navigate to your patients and their records. Records are available in real time (as well as previous visit records) for all patients that you refer to CVRC for emergency or specialty care. Click on ‘My Case List’ to display your patients’ visit records at CVRC. Summary – Will show basic record information. SOAPs – CVRC Doctor examinations. Preview/Export – View full record with ability to print and download. What should I expect in regards to communication from CVRC to me? We believe that the best client and patient outcomes arise from effective collaboration and communication. We will send you a referral letter (case summary/details) for every pet's visit to CVRC. We will call to discuss new referrals with you, and are available via phone and email as needed. Please let us know if you have any specific needs that we can try to accommodate. If you ever need more information or explanation on one of your patients, please do not hesitate to contact us. How can I receive records (referral letters) from CVRC? Referral letters can be EITHER faxed or emailed to you. The emailed file will always be in PDF format. You can also access the same information within the Referring Veterinarian Portal. How do I request a copy of diagnostic images from CVRC? Radiographs can be accessed and downloaded from the portal. We can also email you .jpg or DICOM files as well. You can request these via phone or email (info@charlestonvrc.com). Due to their size, CT scans, ultrasounds, fluoroscopy, and MRI require a weblink through a cloud based storage system to download, or a mailed disc. How do I update my or my clinic's contact information? Please use this link to update your information online: Update Contact Information. Alternatively, you may call or email us at info@charlestonvrc.com with the desired updates. I received an incomplete fax or think I am missing a referral letter. What do I do? Please notify us via phone or email should this occur and we will resend ASAP. We monitor successful and failed faxes on our end as well, so often times you may receive a resend without request. I would like to purchase a product for use at my clinic – is this possible? Depending on the circumstance, we can accommodate occasional product requests (usually emergent situations). Please call us to inquire about a specific product/situation. We cannot offer this in situations of backorders or short stock items. Do you sell blood/plasma products for use by primary veterinarians? Depending on our current stock, we may be able to accommodate requests for canine and feline blood or plasma products. Please call to inquire. I have concern or comments about my experience or my clients' experience at CVRC – who can I contact to discuss them? We are always interested in your experience and your clients' experience, both positive and negative. Dr. David Sachs, our Medical Director, is available via phone and email. Do you offer discounts to veterinarians or veterinary support staff? We offer discounts for veterinarians as well as support staff at our referring facilities. Please inquire via phone or email for more specifics, and make sure to notify us when you come in that you are a veterinarian or veterinary support staff member. Do you offer discounts to rescue organizations? We offer discounts for 501c organizations, please inquire by phone or email for more specifics. Where can I find a doctors' schedule? It is difficult to publish the details of each doctors' schedule online. Our specialists are available during the week and on call for emergencies evenings and weekends. Our emergency service is staffed 24/7/365. Please call, email or use web chat if you have a specific availability question. I would like a tour of you facility, can you accommodate that? Absolutely. Please call or email and we can set-up a tour for you and/or your staff members. How can I schedule a lunch and learn? Please contact us at lunchandlearn@charlestonvrc.com, or call us. Our Outreach Coordinator will be happy to assist in scheduling a lunch and learn at your practice. What list of topics/speakers are available for lunch and learns at my practice? Please contact us at lunchandlearn@charlestonvrc.com, or call us. Our Outreach Coordinator will be happy to assist in scheduling a lunch and learn at your practice and will be able to provide a current list of topics and speakers. We can also usually accommodate a topic at your request. What should I expect the euthanasia process to be like? The decision to put down, put to sleep, or euthanize your pet is incredibly difficult, emotional, and personal. Usually this decision is based on a deteriorating quality of life for your pet, due to disease, injury, or old age. If you are unsure of the decision, our doctor will review your pet's medical conditions, examine your pet, and offer guidance during this difficult time. Once the decision has been made, we will help you fill out the necessary paperwork to authorize the procedure, and council you on the options for care of your pet's remains. We encourage taking care of the bill prior to the procedure so that you can leave once the procedure is complete. It is your decision whether or not you would like to be present for the euthanasia. Often, an intravenous catheter will be placed in the leg of your pet. After this has been done, you may elect to spend some private time with your pet in our private bereavement room. Once you are ready to proceed, the doctor will administer an anesthetic injection given to calm your pet. Shortly thereafter, a second injection will be given that will painlessly and peacefully stop your pet's heart. The doctor will examine your pet and confirm that he or she is gone. We will then take care of your pet's remains according to your wishes. Can you accommodate special requests? We will always try to accommodate your wishes with any special requests during and after your pet's passing. Hair clippings, paw prints, and cremation with your pet's favorite item are some common requests. What are the options for final care? Once your pet has passed, there are several options for care of their remains. Some people elect for home burial, while others prefer cremation, or private burial through a pet cemetery. With cremation, remains can be returned to the pet owner or spread across a protected sanctuary. How much does euthanasia cost? The cost of euthanasia can vary with the individual circumstances. For a pet owner who comes in solely for euthanasia (no other diagnostics or treatments), the cost of the euthanasia visit is $150 plus the cost of cremation, which varies based on pet size, and the choice of whether or not ashes are desired to be returned.